1. Exarchou S., Lie E., Lindström U. et al. Mortality in ankylosing spondylitis: results from a nationwide population-based study. Ann Rheum Dis 2016;75(8):1466–72. DOI: 10.1136/annrheumdis-2015-207688. 2. Sampaio-Barros P.D., Bortoluzzo A.B., Marangoni R.G. et al. Survival, causes of death, and prognostic factors in systemic sclerosis: analysis of 947 Brazilian patients. J Rheumatol 2012;39(10):1971–8. DOI: 10.3899/jrheum.111582. 3. Goldblatt F., Chambers S., Rahman A., Isenberg D.A. Serious infections in British patients with systemic lupus erythematosus: hospitalisations and mortality. Lupus 2009;18(8):682–9. DOI: 10.1177/0961203308101019. 4. Kuo C.F., Luo S.F., See L.C. et al. Rheumatoid arthritis prevalence, incidence, and mortality rates: a nationwide population study in Taiwan. Rheumatol Int 2013;33(2):355–60. DOI: 10.1007/s00296-012-2411-7. 5. Lee H. Procalcitonin as a biomarker of infectious diseases. Korean J Intern Med 2013;28(3):285–91. DOI: 10.3904/kjim.2013.28.3.285. 6. Вельков В.В. Прокальцитонин и С-реактивный белок в современной лабораторной диагностике. Часть 1. Клинико-лабораторный консилиум 2008;25(6):46–52. [Vel’kov V.V. Procalcitonin and C-reactive protein in modern laboratory diagnostics. Part 1. Clinical laboratory Council of physicians 2008;25(6):46–52. (In Russ.)]. 7. Schuetz P., Christ-Crain M., Thomann R. et al. Effect of procalcitonin-based guidelines vs standard guidelines on antibiotic use in lower respiratory tract infections: the ProHOSP randomized controlled trial. JAMA 2009;302(10):1059–66. DOI: 10.1001/jama.2009.1297. 8. Shen C.J., Wu M.S., Lin K.H. et al. The use of procalcitonin in the diagnosis of bone and joint infection: a systemic review and meta-analysis. Eur J Clin Microbiol Infect Dis 2013;32(6):807–14. DOI: 10.1007/s10096-012-1812-6. 9. Liu W., Sigdel K.R., Wang Y. et al. High Level Serum Procalcitonin Associated Gouty Arthritis Susceptibility: From a Southern Chinese Han Population. PLoS ONE 2015;10(7):e0132855. DOI: 10.1371/journal.pone.0132855. 10. Choi S.T., Song J.S. Serum Procalcitonin as a Useful Serologic Marker for Differential Diagnosis between Acute Gouty Attack and Bacterial Infection. Yonsei Med J 2016;57(5):1139–44. DOI: 10.3349/ymj.2016.57.5.1139. 11. Wang C., Zhong D., Liao Q. et al. Procalcitonin levels in fresh serum and fresh synovial fluid for the differential diagnosis of knee septic arthritis from rheumatoid arthritis, osteoarthritis and gouty arthritis. Exp Ther Med 2014;8(4):1075–80. DOI: 10.3892/etm.2014.1870. PMID: 25187799. 12. Martinot M., Sordet C., Soubrier M. et al. Diagnostic value of serum and synovial procalcitonin in acute arthritis: a prospective study of 42 patients. Clin Exp Rheumatol 2005;23(3):303–31. PMID: 15971417. 13. Streit G., Alber D., Toubin M.M. et al. Procalcitonin, C-reactive protein, and complement-3a assays insynovial fluid for diagnosing septic arthritis: preliminary results. Joint Bone Spine 2008;75(2):238–9. DOI: 10.1016/j.jbspin.2007.07.012. 14. Spahr L., Morard I., Hadengue A. et al. Procalcitonin is not an accurate marker of spontaneous bacterial peritonitis in patients with cirrhosis. Hepatogastroenterology 2001;48(38):502–5. PMID: 11379342. 15. Viallon A., Desseigne N., Marjollet O. et al. Meningitis in adult patients with a negative direct cerebrospinal fluid examination: value of cytochemical markers for differential diagnosis. Crit Care 2011;15(3):R136. DOI: 10.1186/cc10254. 16. Volante E., Moretti S., Pisani F., Bevilacqua G. Early diagnosis of bacterial infection in the neonate. J Matern Fetal Neonatal Med 2004;16 Suppl 2:13–6. DOI: 10.1080/14767050410001727116. PMID: 15590427. 17. Wu J.Y., Lee S.H., Shen C.J. et al. Use of serum procalcitonin to detect bacterial infection in patients with autoimmune diseases: a systematic review and metaanalysis. Arthritis Rheum 2012;64(9):3034–42. DOI: 10.1002/art.34512. 18. Scire C.A., Cavagna L., Perotti C. et al. Diagnostic value of procalcitonin measurement in febrile patients with systemic autoimmune diseases. Clin Exp Rheumatol 2006;24(2):123–8. PMID: 16762145. 19. Лапин С.В., Маслянский А.Л., Лазарева Н.М. и др. Значение количественного определения прокальцитонина для диагностики септических осложнений у больных с аутоиммунными ревматическими заболеваниями Клиническая лабораторная диагностика 2013;(1):28–33. [Lapin S.V., Maslyan- skiy A.L., Lazareva N.M. et al. The value of quantitative determination of procalcitonin for the diagnosis of septic complications in patients with autoimmune rheumatic diseases. 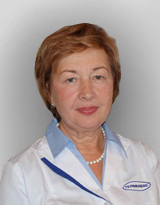 Klinicheskaya laboratornaya diagnostika = Clinical Laboratory Diagnostics 2013;(1):28–33. (In Russ.)]. 20. Тарасова Г .М., Белов Б.С., Александрова Е.Н., Новиков А.А. Прокальцитониновый тест при ревматических заболеваниях. Научно-практическая ревматология 2014;52(4):387–92. [Tarasova G.M., Belov B.S., Aleksandrova E.N., Novikov A.A. Procalcitonin test in rheumatic diseases. Nauchno-prakticheskaya revmatologiya = ScientificPractical Rheumatology 2014;52(4): 387–92. (In Russ.)]. 21. Ho W-L., Lan J-L., Chen D-Y. et al. Procalcitonin may be a potential biomarker for distinguishing bacterial infection from disease activity in febrile patients with systemic lupus erythematosus. Formosan J Rheumatol 2009;23:52–8. DOI: 10.1007/s10067-015-3020-0. 22. Shin K.C., Lee Y.J., Kang S.W. et al. Serum procalcitonin measurement for detection of intercurrent infection in febrile patients with SLE. Ann Rheum Dis 2001;60(10):988–9. PMID: 11589181. 23. Quintana G., Medina Y., Rojas C. et al. The use of procalcitonin determinations in evaluation of systemic lupus erythematosus. J Clin Rheum 2008;14(3):138–42. DOI: 10.1097/RHU.0b013e3181772cca. 24. Schwenger V., Sis J., Breitbart A. et al. CRP levels in autoimmune disease can be specified by measurement of procalcitonin. Infection 1998;26(5):274–6. PMID: 9795783. 25. Yu J., Xu B., Huang Y., et al. Serum procalcitonin and C-reactive protein for differentiating bacterial infection from disease activity in patients with systemic lupus erythematosus. Mod Rheumatol 2014;24(3):457–63. DOI: 10.3109/14397595.2013.844391. 26. Bador K.M., Intan S., Hussin S., Gafor A.H. Serum procalcitonin has negative predictive value for bacterial infection in active systemic lupus erythematosus. Lupus 2012;21(11):1172–7. DOI: 10.1177/0961203312450085. 27. Lanoix J.P., Bourgeois A.M., Schmidt J. et al. Serum procalcitonin does not differentiate between infection and disease flare in patients with systemic lupus erythematosus. Lupus 2011;20(2):125–30. DOI: 10.1177/0961203310378862. 28. Wallbach M., Vasko R., Hoffmann S. et al. Elevated procalcitonin levels in a severe lupus flare without infection. Lupus 2016;25(14):1625–6. DOI: 10.1177/0961203316651746. PMID: 27216419. 29. Eberhard O.K., Haubitz M., Brunkhorst F.M. et al. Usefulness of procalcitonin for differentiation between activity of systemic autoimmune disease (systemic lupus erythematosus/systemic antineutrophil cytoplasmic antibodyassociated vasculitis) and invasive bacterial infection. Arthritis Rheum 1997;40(7):1250–6. DOI: 10.1002/1529-0131(199707)40: 7&lt;1250::AID-ART9&gt;3.0.CO;2-A. PMID: 9214425. 30. Lu X.L., Xiao Z.H., Yang M.Y., Zhu Y.M. Diagnostic value of serum procalcitonin in patients with chronic renal insufficiency: a systematic review and meta-analysis. Nephrol Dial Transplant 2012;28(1): 122–9. DOI: 10.1093/ndt/gfs339. 31. Dumea R., Siriopol D., Hogas S. et al. Procalcitonin: diagnostic value in systemic infections in chronic kidney disease or renal transplant patients. Int Urol Nephrol 2013;46(2):461–8. DOI: 10.1007/s11255013-0542-8. 32. Serio I., Arnaud L., Mathian A. et al. Can procalcitonin be used to distinguish between disease flare and infection in patients with systemic lupus erythematosus: a systematic literature review. Clin Rheumatol 2014;33(9):1209–15. DOI: 10.1007/s10067-014-2738-4. 33. Zycinska K., Wardyn K.A., Zielonka T.M. et al. Procalcitonin as an indicator of systemic response to infection in active pulmonary Wegener’s granulomacytosis. J Physiol Pharmacol 2008;59(Suppl 6): 839–44. PMID: 19218712. 34. Moosig F., Csernok E., Reinhold-Keller E. et al. Elevated procalcitonin levels in active Wegener’s Granulomatosis. J Rheumatol 1998;25(8):1531–3. PMID: 9712096. 35. Delevaux I., Andre M., Colombier M. et al. Can procalcitonin measurement help in differentiating between bacterial infection and other kinds of inflammatory processes? Ann Rheum Dis 2003;62(4): 337–40. PMID: 12634233. 36. Tombetti E., DI Chio M.C., Sartorelli S. et al. Procalcitonin in takayasu arteritis. J Rheumatol 2014;41(7):1564–6. DOI: 10.3899/jrheum.131340. 37. Morath C., Sis J., Haensch G.M. et al. Procalcitonin as marker of infection in patients with Goodpasture’s syndrome is misleading. Nephrol Dial Transplant 2007;22(9):2701–4. DOI: 10.1093/ndt/gfm353. PMID: 17556410. 38. Sato H., Tanabe N., Murasawa A. et al. Procalcitonin is a specific marker for detecting bacterial infection in patients with rheumatoid arthritis. J Rheumatol 2012;39(8):1517–23. DOI: 10.3899/jrheum.111601. 40. Ozmen M., Oktay E., Tarhan E.F. et al. Serum procalcitonin levels in patients with ankylosing spondylitis. Int J Rheum Dis 2016;19(5):500–5. DOI: 10.1111/1756185X.12386. 41. Chen D.Y., Chen Y.M., Ho W.L. et al. Diagnostic value of procalcitonin for differentiation between bacterial infection and non-infectious inflammation in febrile patients with active adult-onset Still’s disease. Ann Rheum Dis 2009;68(6):1074–5. DOI: 10.1136/ard.2008.098335. 42. Buhaescu I., Yood R.A., Izzedine H. Serum procalcitonin in systemic autoimmune diseases – where are we now? Semin Arthritis Rheum 2010;40(2):176–83. DOI: 10.1016/j.semarthrit.2009.10.004. 43. Tamaki K., Kogata Y., Sugiyama D. et al. Diagnostic accuracy of serum procalcitonin concentrations for detecting systemic bacterial infection in patients with systemic autoimmune diseases. J Rheumatol 2008;35(1):114–9. PMID: 18050369. 44. Perren A., Cerutti B., Lepori M. et al. Influence of steroids on procalcitonin and C-reactive protein in patients with COPD and community-acquired pneumonia. Infection 2008;36(2):163–6. DOI: 10.1007/s15010-007-7206-5. 45. de Kruif M.D., Lemaire L.C., Giebe- len I.A. et al. The influence of corticosteroids on the release of novel biomarkers in human endotoxemia. Intensive Care Med 2008;34(3):518–22. DOI: 10.1007/s00134-007-0955-x. PMID: 18080111. 46. Rinaldi S., Adembri C., Grechi S., De Gaudio A.R. Low-dose hydrocortisone during severe sepsis: effects on microalbuminuria. Crit Care Med 2006;34(9): 2334–9. DOI: 10.1097/01.CCM.0000233872.04706.BB. PMID: 16850006. 47. Lin C.H., Hsieh S.C., Keng L.T. et al. Prospective Evaluation of Procalcitonin, Soluble Triggering Receptor Expressed on Myeloid Cells-1 and CReactive Protein in Febrile Patients with Autoimmune Diseases. PLoS ONE 2016;11(4): e0153938. DOI: 10.1371/journal. pone.0153938. 48. Sitter J.T., Schmidt M., Schneider S., Schiffl H. Differential diagnosis of bacterial infection and inflammatory response in kidney diseases using procalcitonin. J Nephrol 2002;15(3):297–301. PMID: 12113602. 49. Shi Y., Peng J.M., Hu X., Wang Y. The utility of initial procalcitonin and procalcitonin clearance for prediction of bacterial infection and outcome in critically ill patients with autoimmune diseases: a prospective observational study. BMC Аnesthesiol 2015;15:137. DOI: 10.1186/s12862-015-0424-z.